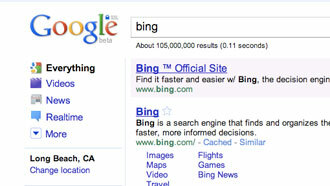 Bing copying Google search data? Uh oh. Google says they have looked into Bing’s search results and claim Microsoft’s tool is using Google data to improve its own results. Stealing or cheating? That’s to be determined — probably in a court of law. 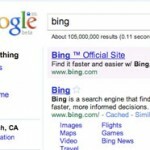 But Bing does not deny it uses Google data and calls Google’s experiment to track Bing results a “hack to confuse and manipulate” some of the signals generated by Bing’s search toolbar. This news comes from Search Engine Land via CNET. Check out the full article from Danny Sullivan at SEL, or the article from CNET. I realize this has nothing to do with high-definition television, but couldn’t pass up reporting on it!